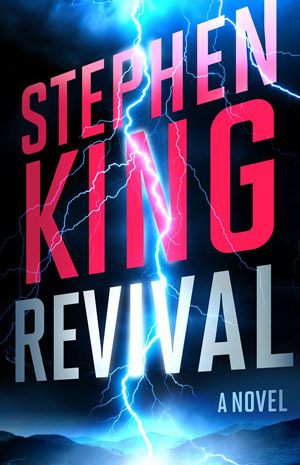 Stephen King Revisited Contest: Winners! Here are the contest winners for the Stephen King Revisited launch contest! Congratulations to all of the winners! We have already emailed these readers to let them know they won. When we list the winners, we’ll include their first name and the first three letters of their last name to hopefully prevent confusion, but remember, we’ve already emailed with them to confirm they’ve won, so if you see a name that is similar to your name, and you haven’t emailed with us about winning a prize, it’s just someone else with the same name. Congrats to the winners, and enjoy!! Cemetery Dance has always gone above and beyond to give back to their fans, as have many of their signed authors/artists. I feel very fortunate to have won a limited edition. Thank you to the entire staff for such a wonderful opportunity! P.S. Looking forward to reading the many great stories in October Dreams 2. I won the complete set of the Stephen King Doubleday Years Gift Editions ! ! Happy Holidays to everyone at Cemetery Dance! Congratulations to all of you lucky winners; I know this will make many a great Holiday! Well, on the other hand, it seems I may still have a chance yet, to join a later list of winners. What an all around generous contest. I’m looking forward to my “RAGE” reread in MY “The Bachman Books” Hardcover. That paper back, as you know is VERY hard to find these days. What if you’re already receiving the emails from Stephen King Revisited? Am I already registered? Yes, you are! Thank you!